The 14 remaining “dry” counties in the state of Oklahoma will give their residents a chance to vote on a liquor-by-the drink sales proposition coming up on their late June ballot. The counties included in the vote are: Adair, Alfalfa, Beaver, Caddo, Cimarron, Coal, Cotton, Dewey, Harmon, Harper, Haskell, Hughes, Roger Mills and Washita. As of this writing, the 14 counties do not allow the sale of strong beer, wine or liquor in local restaurants or bars. If the proposition were to pass, the counties that pass it would be allowed to sell alcohol above 3.2 percent by weight. In the counties that do not pass the proposition they will not be allowed to sell any beer, wine or liquor starting October 1st. 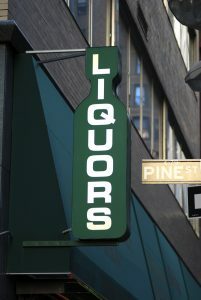 The rest of the state will continue to embrace alcohol modernization.